Spring is in the air & so are our Spring Specials! Now is the time to get your Spring Marketing ready! Take the pain out of planning and select from proven designs ready for you… all you need to do is make your selections, then we do the rest! Utilize this incredible PI Marketing tool to increase Personal Injury patients naturally. 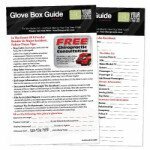 The Glove Box Guide is a great marketing piece to hand out to your existing patients to put in their glove box, to hand out to other auto accident professionals to give to their patients/clients/customers, and to hand out at events. 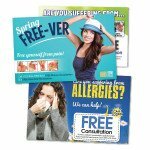 You will receive 1,000 Glove Box Guides custom deigned to your practice and printed on heavy hard stock that will hold up and grab attention. Mother’s Day presents a huge opportunity to boost sales with well thought out marketing strategies. Spouses, children and grandparents will be spending money to help celebrate the positive contributions all of our moms have made in our lives. Help your patients treat mom this Mother’s Day with these creative designs. Boost the amount of referrals you get every month with this completely done for you referral program that educates your patients, motivates them to refer and helps them know who to refer. 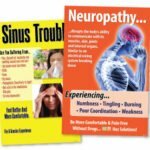 You want more new patients and we have new patient postcards that will reach out to people who have specific ailments and conditions (headaches, back pain, allergies, arthritis, chronic pain and more) and educates them on how chiropractic care can help them and gets them to reach you directly. Let our specific spring designs do all the work! We work with you or one of your staff on a weekly basis and provide step by step coaching, a complete guide, all necessary strategies like phone scripts/letters/timing, provide different designs and guarantee the results for you. If you have any questions or concerns or would like to start your campaign via phone, feel free to call us directly at (360) 326-8896 or use our LIVE CHAT feature.